Did you know that barnacles have stomachs? It had never crossed my mind. Neither had I formed opinions on the size of salmon’s ovaries or the intricate structure of a whale’s bladder. After years of biology lessons, working my way through various pint-sized pets and being fascinated by all creatures, I knew very little about the inner workings of the animal kingdom. Sir John Hunter was born in Scotland in the early eighteenth century. Not one to settle with school-based study, he quickly developed a fascination with the internal functions of both humans and animals. By the time he moved south to help his established older brother William write books on anatomy, the profession of human dissection was booming in London. Six human bodies per year – usually those of hanged criminals – were given to the city’s Royal College of Surgeons for the purpose of dissection. Students would take notes in the large theatres as the gory procedure took place. The use of the term theatres however, is no mistake. Members of the general public would also attend the event: some out of morbid curiosity, others for entertainment. I suppose, at times it satisfied both needs. Six bodies of course, was rarely sufficient to supply such a booming trade and that eventually led to illegal grave robbing and more gruesome dealings in the back alleys of 19th century London. Indeed, it’s rumoured that Sir John himself became entangled in a coffin ‘exchange’. The occupant of said coffin, known affectionately as the Irish Giant, now stands as a proud skeleton in the museum of the Royal College of Surgeons. 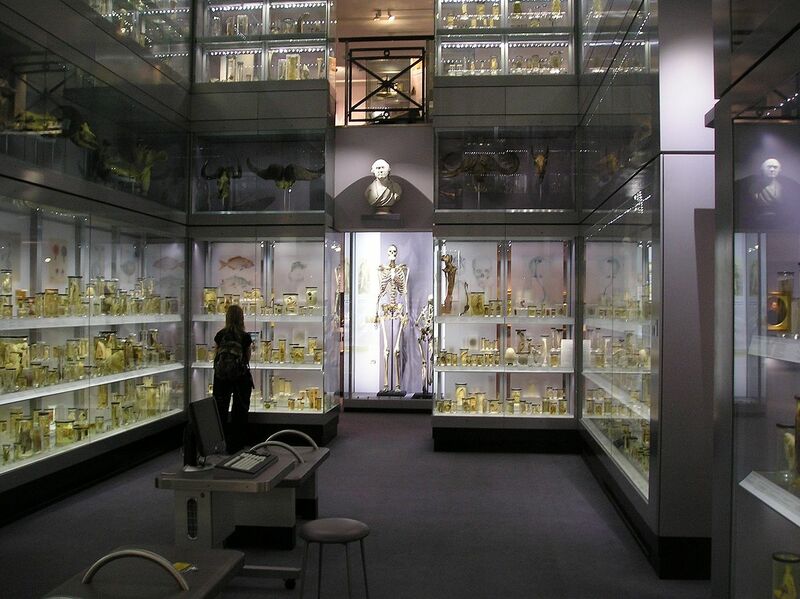 The Hunterian Museum, an oddity of London’s free tourism scene named after Sir John Hunter, holds a huge collection of dissected subjects. As I entered in early afternoon, high walls that were thick with backlit jars of bones, nervous tissues, internal organs and unidentifiable objects of all sizes confronted me. Lacing the entrance, framed human arterial systems resembled modern art pieces more suited to The Tate. From the faces of smallpox victims to the foetuses of monkeys, no functioning of any live body had been left unturned. Luckily, I didn’t need to be a surgeon to decipher what I was ogling at, because every single item was labelled and numbered. 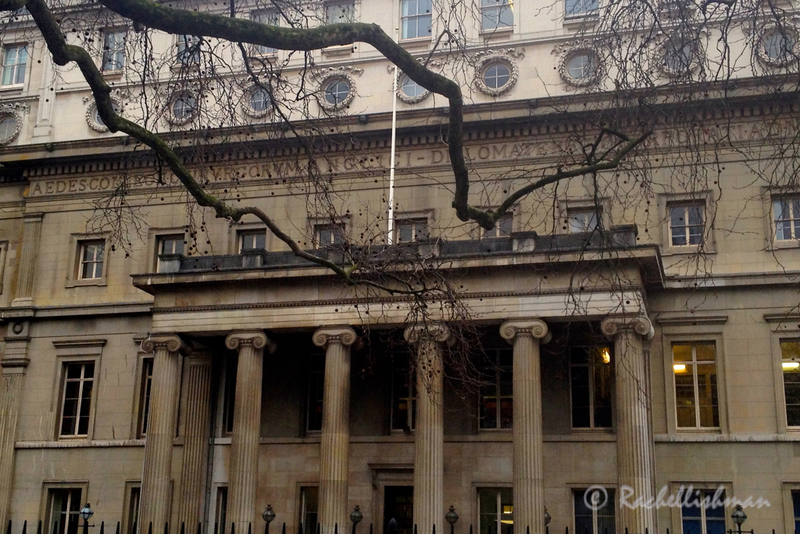 The Hunterian Museum is part of The Royal College of Surgeons – one of the many impressive buildings in Lincoln’s Inn Fields, central London. It goes without saying that Sir Hunter had motives other than that of providing a wonderfully offbeat tick on the inquisitive tourist’s travel list. The separation of the Royal College of Surgeons from the Barber-Surgeon Company by Henry VIII in the sixteenth century acted as a catalyst to an age of medical exploration. What some would consider a macabre interest, would gradually lead to the advances in medicine and surgery that we recognise today. Certainly, Sir John Hunter is credited with publishing the first book on dental surgery; a treatment that we now take for granted. I spent roughly an hour exploring the collections. Breathing in deeply, cocking my head to an angle, deciding I had no idea what I was looking at and then reading the label below. Another breath as it fell into place. On occasion, it did feel strange to be staring so intently at the morose artworks. The exhibit of a child’s face injected to keep the skin flushed, genuinely startled me. In one hour I learnt more than I ever remember taking from a biology lesson. That is to say, being startled certainly helped the facts sink in. I also came to a second conclusion; Sir John Hunter and his contemporaries weren’t only anatomists. Through their work they were explorers, master craftsmen, theatre producers, doctors and most importantly of all, pioneers in a territory that until then, was practically unknown. Your last paragraph sums it up perfectly, Rachel. An interesting museum.